Adèle Garnier is a lecturer at the Department of Modern History, Politics and International Relations, Macquarie University, Australia. She has held research positions at the Interuniversity Research Centre for Globalization and Work (CRIMT), Université de Montréal, Canada and the Group for Research on Migration, Ethnic Relations and Equality (GERME), Université Libre de Bruxelles, Belgium. She has published in Refuge, the Journal of Ethnic and Migration Studies and WeltTrends. Liliana Lyra Jubilut holds a PhD in International Law from Universidade de São Paulo, and an LLM in International Legal Studies from NYU School of Law. Currently, she is Professor of the Postgraduate Programme in Law at Universidade Católica de Santos and a Member of the IOM Migration Research Leaders Syndicate. She has been working with refugees’ issues since 1999. Kristin Bergtora Sandvik is a Research Professor in Humanitarian Studies at PRIO and a Professor at the Faculty of Law at the University of Oslo. 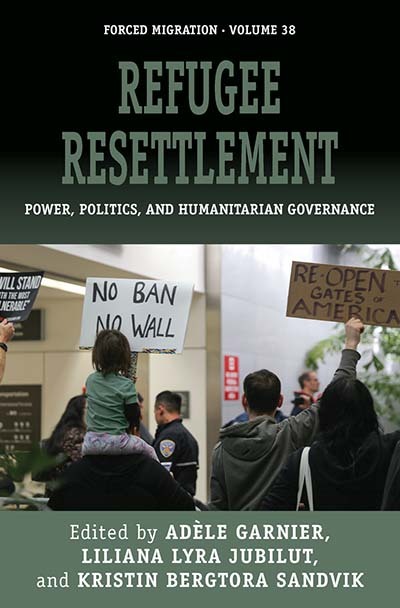 Her work has appeared in Polar: Political and Legal Anthropology Review, Refugee Survey Quarterly, the International Journal of Refugee Law, Disasters, the ICRC Review, Third World Quarterly, and the Law and Society Review. Chapter 1. Strategic Use of Resettlement: Enhancing Solutions for Greater Protection?